Comparing the features of two different vehicles can be a very subjective process. While a single characteristic or function can certainly be seen to provide value, it’s often a combination of several of a car’s features that creates an impression of elegance, luxury, power or reliability. When comparing cars from different manufacturers, the process can be even more complex.In this comparison of the 2017 models of the Kia Optima and the Ford Fusion, we present the general range of standard and optional features across all versions of each, but focus specifically on the standard baseline versions. As you’ll see, there are many similarities and several striking differences. The 2017 Kia Optima’s external appearance is strikingly elegant. With ten external color options in lustrous pearl and metallic finishes, as well as satin chrome or gloss black sill molding, the Optima projects an image of style and refined luxury. With its sleek lines and subtle but eye-catching accents, it fully deserved J.D. Power’s 2016 award as the “Highest Ranked Vehicle Appeal among Midsize Cars” and if anything, the 2017 model has upped its game. The design lines of Ford’s 2017 Fusion are very similar to those of their 2016 model, with any differences in body contour or trim being so subtle as to be virtually unnoticeable. Ford offers a total of nine different paint colors, three of which are metallic, with options of different finishes on grill and door handles. Not an unattractive car, with a slightly sporty look, but its outward appearance fails to impart any impression of luxury. Kia didn’t stop halfway in their design of the Optima’s interior. You’ll find it well equipped with top quality luxury features and impeccable workmanship, comparing favorably to many high-end vehicles. The gas-only Optima boasts more trunk space than its Fusion competition and the hybrid model forfeits only 2.5 cubic feet of storage space in the trunk, by placing its battery pack under the rear seat. Comfortable and spacious, the Optima doesn’t disappoint, with a quiet ride that seriously rivals other mid-size sedans and plenty of options to please your senses. They’ve even gone the extra mile with their Panoramic Sunroof. Ford stepped up their game with the interior details of the Fusion. From the innovative rotary “shifter” to the acoustically-insulated windshield, this interior may seem more like a plane cockpit than a car’s compartment. A long list of available options make an already comfortable ride better, including plush leather seats (electric multi-profile driver’s seat and 10-way power and heated front seats, for instance). Not to be completely outdone by Kia, the Fusion also offers a moonroof. The Optima offers a number of attractive finishes, from the carpet and dashboard to the upholstery, all designed to blend with the exterior finish to impart an impression of elegance. Whether outfitted with the stain chrome, black gloss or wood grain trim, when combined with cloth or leather seats, the Optima’s interior becomes a tasteful extension of the owner’s personality. Alloy wheels in premium finish or gray-finish top off the trim. The Fusion’s choices of external trim options are limited, with same color door handles (with or without bright inserts) and a combination of high or low gloss black finish, magnetic painted or high gloss black upper and asymmetrical lower on the grill sections. Internal options are slightly more numerous when considering the upholstery materials. The 2017 Optima offers some of the most advanced technologies available today – features that were unthought of a generation ago. Blue tooth connectivity, touch-screen technology, GPS, satellite radio, assisted parking, tire-pressure monitoring, Lidar hazard detection, rear-camera, stop/start cruise control, even autonomous emergency braking – all these and more are available on various Optima models, with many being standard features. The 2017 Fusion has a selection of standard and optional features to compare with those of the Optima, making it another mid-size sedan with comfort and convenience at the forefront. Various Options Packages are available, similar to those of the Optima, as well as a variety of standard features on different models. 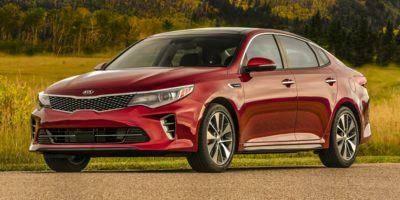 Kia wasn’t stingy with the safety features of the Optima. Air bags protect the driver and passengers on all sides, in the event of a collision. The restraint system features 3-point seatbelts front and rear, with available pre-tensioning capability in the event of a collision. Front and rear crumple zones and side-impact door beams provide additional protection for those in the vehicle. But avoiding collisions is the best protection, so the Optima is standardly equipped with 4-Wheel ABS and Brake Assist, as well as Electronic Stability Control and a Tire Pressure Monitoring System. Kia’s Rear Parking Aid and Back-up Camera are also optionally available to help avoid fender-benders when parking. Ford added a fair amount of safety items to the Fusion with their 2017 model. They also offer air bags in the front and rear seats, including on the side and for the head, as well as 3-point front and rear seatbelts with pre-tensioners. The Fusion also standardly sports Individual Tire Pressure Monitoring, AdvanceTrac® electronic stability control, 4-wheel ABS, rear view camera and their SOS Post Crash Alert System™. The Optima LX comes with standard cloth bucket seats with CleanTex protection and optional leather trim and heated front seats. The driver’s seat is 6-way manually adjustable with power lumbar, with an optional upgrade to 12-way power adjustable with 4-way power lumbar. The Fusion S comes standard with 6-way manually adjustable driver’s seat and 4-way manual passenger’s seat, while other model’s options include 10-way power driver’s seat with power lumbar and 6-way power passenger seat, including power recline. Heated and cooled front seats, leather trim with suede-cloth inserts and driver’s seat memory are available on some models, as well. The Optima LX standardly comes with a 1.6L (178HP) Turbo engine, but other versions can be ordered with the 2.0L (185HP) or 2.4L (245HP) engine. All are 4-cylinder, Gasoline Direction Injection engines, with Continuously Variable Valve Timing to optimize performance and exhaust emissions. The Fusion S comes standardly equipped with the 2.5L 4-cylinder engine, with Variable Cam Timing, which improves both emissions and performance. Other Fusion versions can be acquired with the 1.5L (181HP), 2.0L (245HP), both 4-cylinder engines, or the 2.7L (325HP) V6 engine. The front wheel drive Optima LX has a 7-speed Dual-Clutch Automatic transmission, which provides enhanced responsiveness and efficiency. 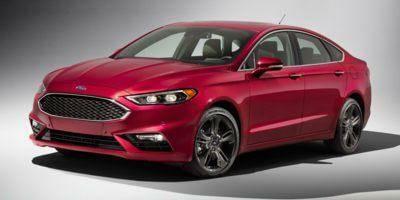 The Fusion S, also front wheel drive, is driven by a 6-speed automatic transmission. The Optima’s Basic warranty covers 5 years or 60,000 miles, with a separate Corrosion warranty providing coverage for 5 years or 100,000 miles. The drivetrain is covered for 10 years or 100,000 miles and Roadside Assistance is included for 5 years or 60,000 miles. The Fusion carries Basic warranty protection for 3 years or 36,000 miles, with Corrosion protection for 5 years, unlimited mileage. The drivetrain is warranted for 5 years or 60.000 miles and Roadside Assistance covers 5 years or 60.000 miles. 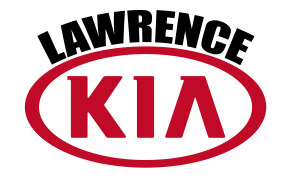 We encourage you to visit the Lawrence Kia dealership and let one of our sales representatives answer any questions you may have – test-drive the Optima and experience the quality for yourself. Don’t hesitate to do the same with the Fusion… we’re confident you’ll agree the Optima is the clear winner.